This teaching by pastor Barry was given as part of our family service on Easter Day, 16th April 2017. 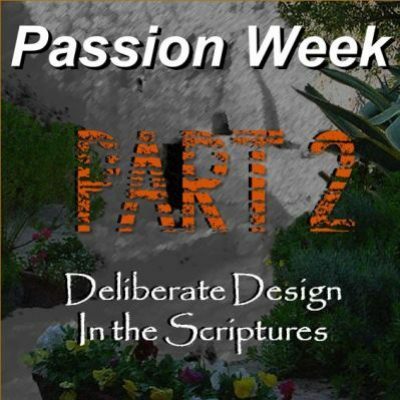 This is the second part of a 4-part study looking at Passion Week (the name we give to the last week Jesus spent with His disciples leading up to the Crucifixion and Resurrection). But on that day (Palm Sunday) He intentionally arranges the whole event! Sending disciples to get a donkey etc. Much to the distain of the Jewish leaders! So what was so special about this day? Why did Jesus say ‘His hour had now come’? Why did Jesus allow Himself to be worshipped as ‘Messiah the Prince’ on this day (and only on this day)? Why did Jesus rebuke the Jews for not knowing what day this was? Once we have answered that question, we go on to look at the details and timings of the events of Passions Week, seeing that Jesus was crucified on Thursday 14th Nisan (fulfilling prophecy), was buried as the Feast of Unleavened Bread was beginning, and then rose again on the Feast of Firstfruits (again in fulfillment of prophecies given over 1000 years before the event).